Please don't hesitate to contact us with any questions! Parking is available at spots in the Discovery Garage (green circle) for $1 per day, as well as at meters (red dots) along the street on Lincoln, Park, and Assembly. The meters are not monitored on weekends. 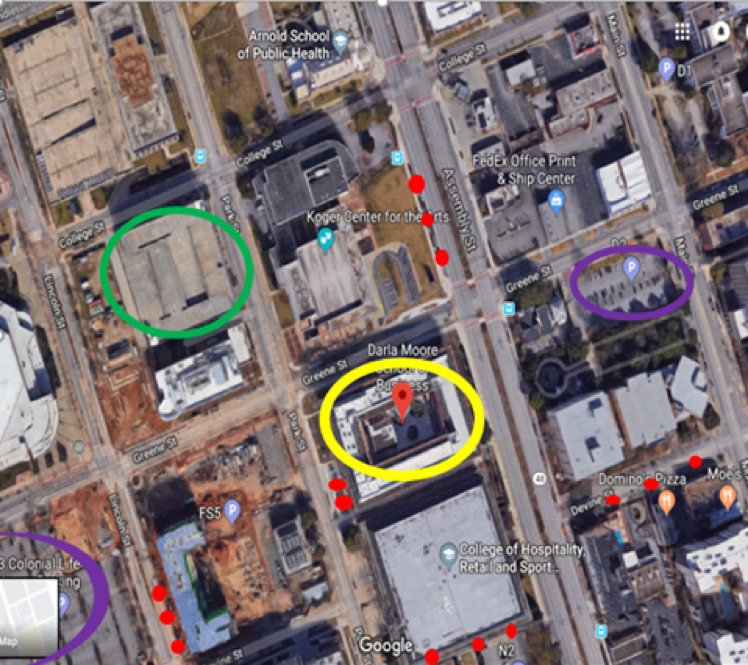 Parking may also be available in the lots (purple circles) on Lincoln St. and Greene St., depending on construction and other events on campus that weekend. There will be a basketball game on Saturday, Feb. 9, and we do not recommend the purple lots for this day. The Darla Moore School of Business is outlined on the map in yellow.